Sew Mama Sew Giveaway Day kind of snuck up on me this year. Luckily I was already planning a giveaway for my blogiversary (three years this week!). Yay! To win this bundle of fat quarters, just leave a comment telling me what your favourite colour combo is these days. Followers get a bonus entry -- just leave a comment. For another bonus entry, follow me on Facebook or Twitter and leave me a comment saying so. No reply bloggers, please leave your email address in your comment, otherwise I'll need to pick someone else. This giveaway is open until Friday, May 16 at 8 p.m. EDT. The winner will be chosen via Ms. Random Number Generator and announced on May 17th. I usually reply to comments, but I don't think I'll be able to keep up so I'll thank you for entering now and I wish you good luck! 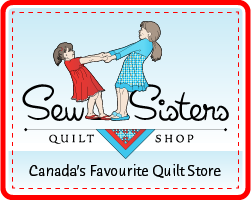 For other great giveaways this week, check out Sew Mama Sew. Love the fabric bundle and the tulips pics. Happy three year anniversary, looking forward to many more posts. My favorite color combo right now is aqua, peach and gray. I am liking red and aqua at the moment, but love that combination you have put together there! Happy 3 year anniversary! And I follow on FB too. Tulips ??? So it is spring??? Really?? My favourite colour combo is yellow and grey right now...but I love the purple thrown in there! Those tulips are gorgeous! So is the fabric bundle. My favorite color combo at the moment is orange, grey and purple. Thanks! I always love orange, blue and green. The tulips are gorgeous!! Mmmm is right! Congrats on your blogaversary :). My fave combo at the moment is purple and cream! My favorite combo right now is yellow, aqua and grey. Thanks so much for the giveaway and congrats on three years!!! Woohoo! Right now I love springlike colors, since it's finally spring here. I love your fabric colors too, loving the grey and gold. I follow you on bloglovin. Yummy fabrics and tulips. Just hate that those tulips don't go on blooming ALL summer; sigh! 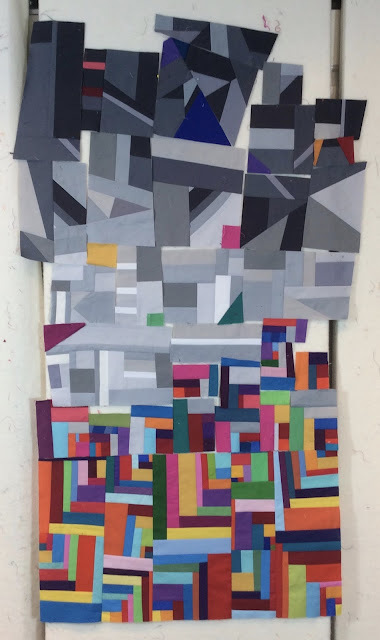 Two color quilts are speaking to me...esp. red and white. I follow with GFC and Feedly. I think teal and gray are my favorite color combo right now. Maybe with a little purple added in! I have 'liked' your Facebook page. Lovely tulip photos! My favorite color combination lately is yellow, orange & navy blue. Not too trendy, but fun to play with. Thanks for the chance to win! Wonderful bundle! I have been leaning towards the blue, org, and brown lately, but really want to try a navy and lime green color combo. Thanks for the chance to win! Hi there i follow you on Facebook and bloglovin. I am a regular follower via Google Blogger. Thanks for the chance to win. My favorite color combo right now is red/white with black and aqua. I love pink and orange together - I always go for the subtle combinations! I follow you through Bloglovin. Beautiful photos- very inspiring! I am loving orange and pink together at the moment! I follow you on Twitter :) @amycansew Happy giveaway day! Great giveaway M-R! I am really liking the aqua and grey combo lately although I bought a bundle at the quilt show on the weekend with some turquoise and purples that really caught my eye! Anything with aqua or lime. Thanks. Newly following on Fb. Thanks. Happy Anniversay! I lam loving the colour turquoise as that is the colour of the Caribbean water right now. 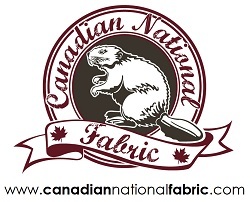 Ilove your fabrics!!! Gary and yellow are mine right now. Hey MR congratulations. gorgeous photos as always. I follow you on FB and bloglovin. My favourite colour combo (right now) is french marine blue and coral. I happily follow you on FB. Oh, those tulips!!! My favorite color combo is orange, red, and white. Sometimes with spring green accents, sometimes blue accents, and sometimes hot pink accents. Love the fabrics. Colour combo fave is now blues and greens. I follow on my reader. Grey and yellow at the moment! My fav combo is the rainbow, lol. I also love macro pictures with blurred background and I'm finally able to do it with new camera. Have fun! Right now I'm loving a soft spring combination of pink, yellow and green, very spring-like. I do follow on FB! Love purples and Grey's together.beautiful pictures. My daughter's favorite flowers was tulips. Thanks for sharing the pictures and letting me remember that memory. Gray, Aqua, Orange....my favorites at the moment! Am loving aqua, pink and yellow at the moment.. I am a dear follower..
M-R! Your tulip photos are gorgeous!! Thanks so much for sharing them and for making the photos so nice and big in your post!! lol I love when bloggers post large photos!! I can see these photos being the impetus behind some new fibre pieces in your future..
Love your flowers and your blog! The tulips look great. My favorite colors these days are purple and green. At the moment I'm working with grey and yellow in a quilt. I love the way the different shades work together. Your photos are great, especially where the tulip in the centre is out of focus and the one in focus is half off to the left. Very effective! and I'm now following you with Facebook. Your photos of the tulips are stunning! I follow you on blog loving, thanks for the giveaway! Beautiful photography! My favorite color combination right now is teal/aqua, bold pink and citron. I love aqua with red or yellow. Thanks! I love combining gold/yellow with other warm colors these days though I still like to pair it with grey also. I like aqua with gray and yellow.matsche.christine@yahoo.com. I have to say I love purple and gray, yellow and gray, aqua and gray....anything and gray! I lean towards a lot of blue and purple. oh man I love tulip farms--I wish they had one in NM. My favorite combo is grey-aqua/teal. I follow you via feedly. teal, green and plum with a splash of grey is still one of my favorite combos. My favorite color combo is still burgandy and gray. Love it for some reason. I am a blue and green kind of girl!!!! Great giveaway! Thanks! right now I am loving navy and pink! Lush fabrics and beautiful flower photos! I am loving mint and grey - a bit of a LV combo! My current quilt is blue, aqua, coral, gray. I think my next will be purple! Well, you nailed my favourites in this bundle, M-R! Thanks for the chance. Love anything paired with Navy/Grey. Thanks for the chance. Favourite combo these days (its spring here!) is pink and light green. Thats spring! Great photos, tulips are my favorite :-). I love the grey and yellow mix but lately I am drawn to dark blue-navy, coral and lime green. I love tulips and we cannot grow them well here. Those are so pretty. What a great giveaway - love the color scheme in this, but I'm also crushing on navy, aqua, and green (longing for the beach) and grays with sherbety colors (mints, peaches, blushes). I love gray, red, aqua and white together. Thanks for the chance to win! Purple and yellow. Thanks for your tutorials. Thanks for the chance at the giveaway. Your photo's are stunning! Thanks for the chance! I loving dark pink, teal and gray at the moment. Thanks for sharing the tulip pictures! They are my favorite! a drk red orange and a dark red purply .. Pink and gray. Thanks for the chance! Aqua and brown are my favs right now. Thanks for the giveaway! Navy blue and Kelly green! Happy anniversary M-R!! I'm loving navy and orange right now. So gorgeous together! I just started following you. I'm a fellow Ontarian and I love turquoise and brown. I'm making a quilt with Bluebird park at the minute, I'm loving the yellow, teal and grey combo. Thanks for the chance! Right now I'm into green and yellows. My fave color combo is fuchsia and green. Thanks for the chance! I follow you on Blogger/GFC/Bloglovin. And I follow you on FB. these days anything with grey is my favorite! thanks for the giveaway! I really like purple and green together, and lately aqua and yellow too! I'm liking coral and pink. Those tulips are gorgeous! My current favorite combo is (and forever will be) gray and anything! Turquoise, yellow, orange... as long as gray is involved, I'm hooked!! I love greens anytime but recently drawn to orange and yellow. I've been trying to stretch my color combos - I love pinks, reds & oranges....together! I am really loving greys and pink right now. Right now it is Oranges and purples! Thanks for the giveaway! Congratulations for your third anniversary! I love your blog! My go to colours now are aqua/turquoise and tangerine! I always end up with aqua and bright lime green in my quilts and design projects. I often use orange as a warm spicy accent or a del purple to make the lighter colors pop. I'm loving the aqua-red-white combo at present. My fav color combination right now is orange, light grey, and navy. Just love tulips and congrats on your anniversary. Thank you for the chance to win the bundle of fat quarters. I would like the colour combination to be red and white. I love greys and whites and purple all together. Not too exciting, but there you go. Happy blogaversary! Those tulips are beautiful btw, reat pics! I love blue/green like teal and lime or like peacock colors. So beautiful and rich in color! I'm into summery yellows and organges at the moment. I keep picking up gray/turquoise, yellow/steel and navy/cream/purples lately. I have a quilt in progress that is navy, lime, and aqua - so not my usual colours together, but I love them. love pool blue and dreamsicle orange! Those are some great picks. I am a graphic designer so I don't have a favorite color combo — I see new ones every day. I keep track of them on my pinterest board (pinterest.com/chimes/design-color). Lately I've been drawn to complementary shades of orange and blue, but I also love the purple/yellow complement as well. I'm a color junkie so hard to pick one combination. Maybe turquoise & grey? 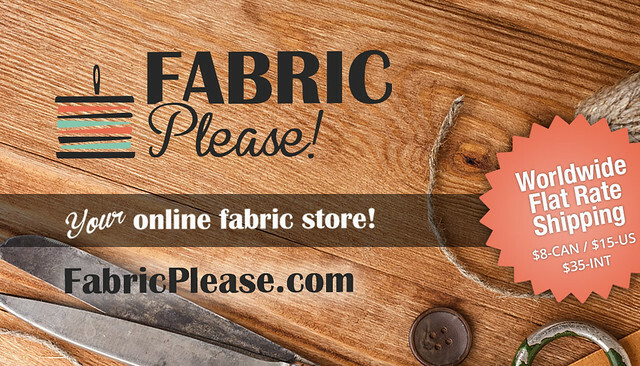 Great fabric bundle! I always love red/white/blue combos! I like navy and teal at the moment. I think navy looks classic with just about anything though! On A Creative Journey...Having Fun! Thank Goodness It's Finished Friday! Fancy Some Art Shopping in Paris? Inchworm baby quilt featuring By Hand fabrics & a giveaway! The King of the Jungle! 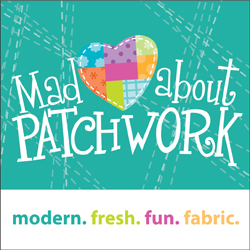 In addition to my paid sponsors, I occasionally accept free fabric, notions, or tools in exchange for posting about it on this blog or my other social media platforms. That said, this practice will not influence my product reviews. I also am a Craftsy Affiliate and receive compensation for items ordered via my links to those businesses. Copyright by Michèle-Renée Charbonneau, 2011-2017. Simple theme. Powered by Blogger.